I got to do some hair testing this late doe season in Michigan with my 92 .45 LC. I shot two big whitetail does each weighing 125 lbs and 135 lbs field dressed (sorry no pics). The load used was the Hornady 300 grain xtp (standard not mag) on top of 23 grains of H110 for a measured 1530 FPS. Doe #1 shot at 60 yards through both lungs and down and out the off shoulder, short death run about 30 yards. Doe #2 shot at 105 yards through high shoulder out the off shoulder, DRT. These two make four that I have shot with this load, and I can say it has worked great each time (similar to #1 above). I am amazed at how hard these little guns seem to hit deer. So far I see no need to go to the XTP mag. I know others claim that they do not always get pass throughs, however, upon butchering the deer, the damage done by these bullets has been immense. that's moving pretty good for a 300 gr bullet. I have broke 1600 with a 255gr cast bullet with 2400 in a similar rifle but haven't used it for hunting yet. I have used the 250gr XTP on top of SR-4756 but I should push it just a bit harder, it will smoke through soft tissue with minimal opening. it still kills well, it just doesn't quite do the damage it should with the lower speed. now if it hits a bone on the way in.... different story. nice job on the does. Thank you for the report, I like seeing added to the forum, and I'm glad to hear that the XTP did so well. I tried them in the 35 Rem, 44 Mag, and 444 Mag about 20 years ago and they failed even though I had loaded within the recommended velocity envelop which seems to have expanded somewhat. I'm glad to see this as hunting bullet selection is pretty thin for this cartridge if you don't want to shoot cast. The prices for this bullet are quite reasonable especially considering the performance you have reported. With the Magnum bullet you could gain about 200 FPS worth of performance and I think still be within not knocking the magazine tube off the basic 92. It is right up the 454 Casull's ally for sure. I'm going to retitle this topic with "XTP" so that the similar topics will pull other reports or question about the bullet. Thanks for the report, Wodon. I'm working up a 300 gr XTP round for a potential black bear hunt next fall. I've only taken it to 22.0 grains of H-110 so far at 1470 fps out of my 20" Rossi. I have to agree with Ranch Dog, the XTP is pretty economical if you don't cast. With the development of powder coating cast, I may try some in the future. For whitetails where I hunt, I don't think I can get much better performance from anything, but its still fun experimenting. If I was going after bears I would probably go with the XTP Mag vrs the regular, although after seeing an XTP regular blast through both scapulas of the last big doe I shot, I am not so sure a shot in a black bears boiler room might just go through both sides. I like H110 with mag loads, hard to beat, some like Lil gun better. There is a lot of good info on the XTPs on Doug's Message Boards smokless muzzleloading pages, reams and reams of documented use. The XTPs are always shot at relatively high velocity out of Savage and other smokeless muzzies. Typically above 1700 fps. The consensus favors the regular XTP over the mag. for killing effect, which flys in the face of Hornadys guidance (go figure). They also report better acccuracy; however, that is different animal with sabot loads, and is not really a good comparison to levergun loads. woden wrote: They also report better acccuracy; however, that is different animal with sabot loads, and is not really a good comparison to levergun loads. woden, I take it your just talking about accuracy in this statement. My non-educated guess would be that the performance (kill power) of the same bullet traveling at 1700 fps would have the same terminal affect no matter what creates that speed. Correct me if I'm wrong. woden, you're rapidly, becoming my mentor on this project. Please keep us (me) posted on any new developments. I'll do the same. You are correct, that is does not matter what you shoot the same bullet out of, the killing effect should be the approximately the same if the start velocity is the same. However, I was refering to the the consensus over at Doug's Message Boards, Smokless forum, where the general consensus there is that the xtp regular version is a better deer bullet than the xtp mag, even when started/launched at velocities above 1700 fps. I know most of us with our lever 45 LC never get that high of velocity but some do if they hot load (PACO KellY) and some do with the 454 casull. Hornady and many people on the internet claim the xtp regular version fails at velocities over approximatley (1800 fps) velocity. I don't know for sure, I can only go on my experiance that the current XTP regular version in 45 cal really works well on whitetails when started at 1530 fps. As Ranch Dog stated he did not have good luck with those same bullets in the past. It may be Hornady has changed them since Ranch used them. I have shot one whitetail with the 45 cal xtp mag from a .454 casull revolver many years ago and it crushed the deer but it was a high shoulder shot that encountered bone. Most of the complaints I see regarding the xtp mag version in .45 300 grain is that it pencils through without expending. Many will agrue, who cares, its .45 cal already, and to that I really can't argue, dead is dead, and there is not much out there that can handle a .45 hole through them. I do believe that there is also some problem with using the regular xtp in the .454 casull revolvers, regarding the forcing cones, etc., not really applicable to lever guns. 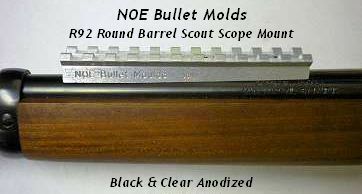 The accuracy issue is mute when considering the bullets used in smokless muzzleloaders compared to levers, or other standard muzzleloaders. Each gun is differnt, but the guys shooting them out of smokless almost universly get better accuray with the standard xtp vrs. the mag. Likewise, any info you or others have is appreciated. I had an hour window to get to the range this afternoon the conduct a penetration/expansion test with the .45 Colt 300 grain XTP. I fire two rounds into my redneck ballistic medium of wet, compressed sawdust in feed bags. The moisture content is such that by pushing HARD on the sawdust, a little water would rise to the surface. Summary: While I was digging through the sawdust with my hand, following the bullet trail in the last bag, it was easy to feel the 1" or so hole caused by the bullet. Based on my similar test with my .357 and comparing to field results from deer I took with that load, I don't think this bullet will completely pass through a 300 lb black bear. I would expect to find the bullet an inch under the skin on the opposite side. I would expect some serious internal damage. This is all conjecture, as I've never harvested a bear before. The primer was starting to flatten. I've pushed this load as far as I care to do. Next test will be with 22.0 grains of H-110. I might be able to push that load a little more. I'll probably try the 300 grain XTP Mag bullet, also. I might give up a little expansion for more penetration. Good work Moon, love this kind of stuff!